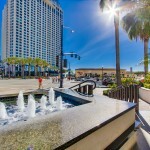 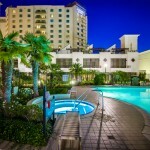 Park Place is located on the prestigious Harbor Drive at Kettner Boulevard ideally situated at the very heart of the city’s crossroads where the western bay and southern bay meet at the Embarcadero. 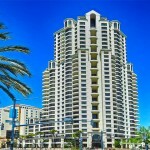 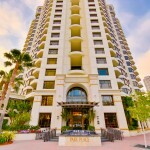 It is a 30 story high-rise building and town homes with 178 residential units built by Bosa Development in 2003. 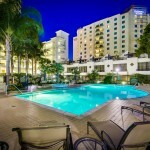 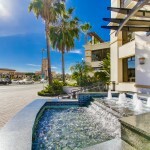 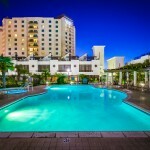 Park Place is just a short walk away from shopping, charming cafes, the boat and yacht marina, Ruocco Park, nightlife, and the Headquarters at Seaport Village. 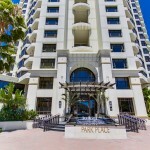 Park Place represents the essence of elegance, luxury and the perfect California lifestyle in San Diego’s most desirable urban location. 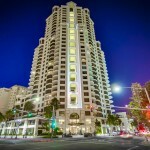 It offers a wide variety of wide, open, spacious floor plans ranging from 1,113 square feet to 6,689 square feet in cases where units were combined during construction. 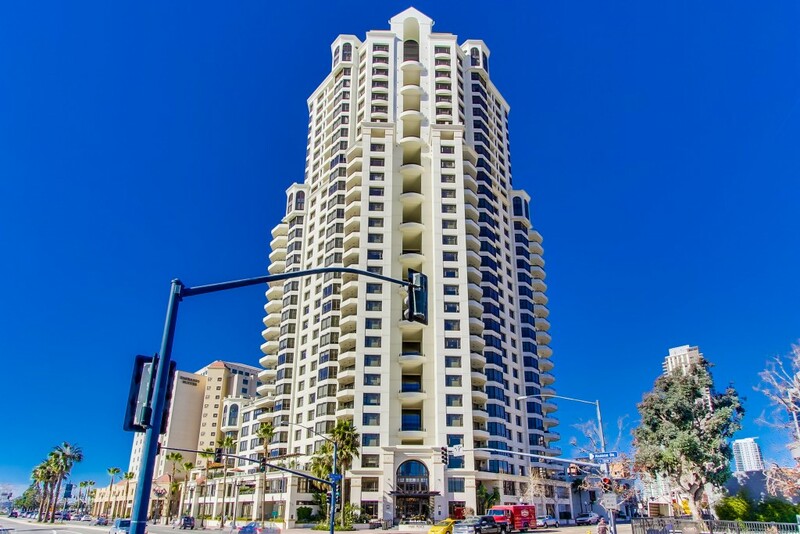 One of the most prominent buildings in San Diego, Park Place is known as a modern day landmark commanding some of the most spectacular views the city has to offer and actually looks like the Monopoly building “One Park Place” making it even more iconic. 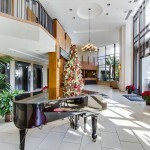 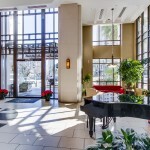 The entrance and lobby area include lofty ceilings, elegant limestone floors and the richly detailed grand staircase to create a comforting ambiance of casual refinement.